Real estate marketing is stuck in the seventies I swear! 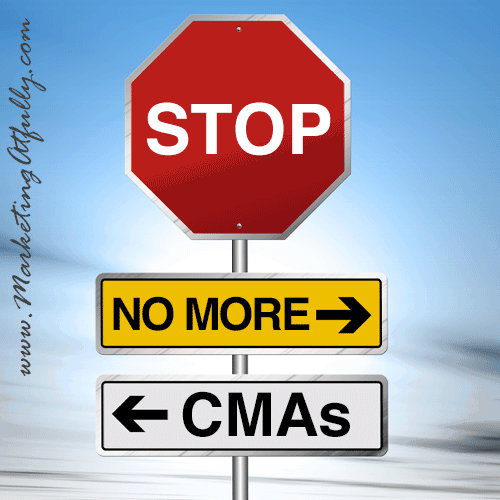 For the love of pete, please, please, please stop offering a CMA as your big free offer! 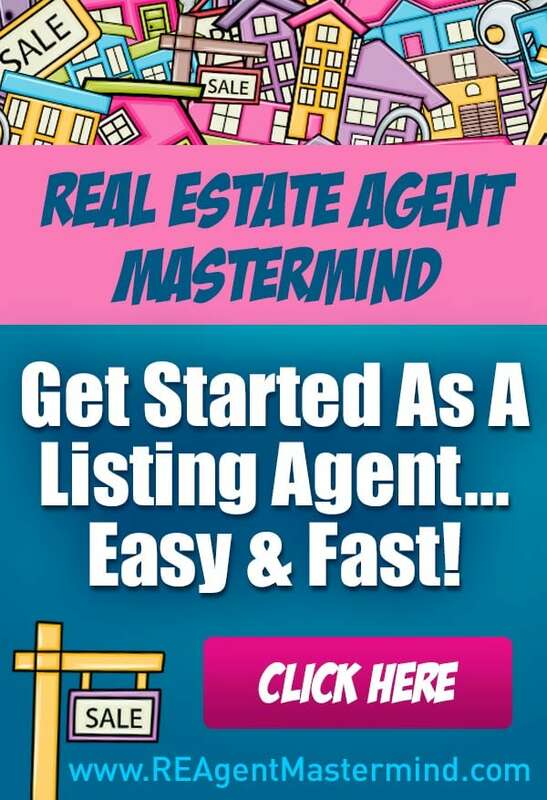 Reason One – I have talked with HUNDREDS of agents and the first thing that pops out of their mouth when I ask them what their free offer is, (said all chirpy), “a free CMA”. If EVERYONE is giving something away for free, it has no value! Reason Two – What if I told you, “Sign up for my stuff and you can have a free PDQ!” Said in a chirpy voice or not, you probably have NO idea what that is because I just made it up. Many homeowners do not know what CMA stands for and so you are just spinning your wheels. 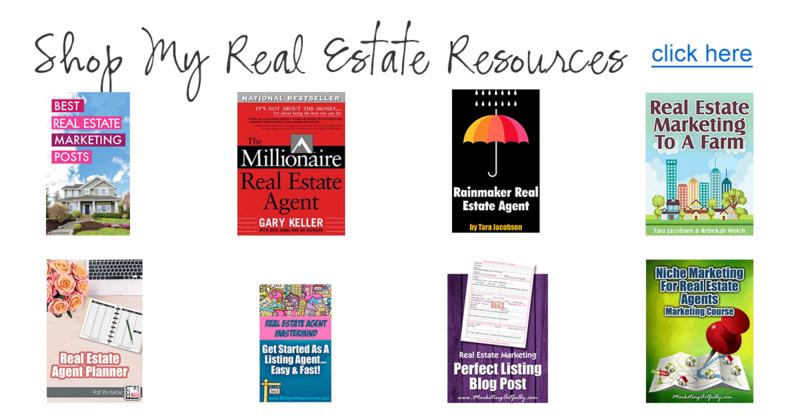 Reason Three – Real Estate Marketing has moved on! There are scads of things that you could give them like a free moving guide, a free relocation guide, a free “thanks for listing with me” pack of coupons from local moving companies, organizers and the like. I KNOW, it is easy to do a CMA for them, that is why you are offering it. If your offer is easy and everyone is doing it, it has no value! Reason Four – If you have to give a CMA away, why not call it something that people actually want like; “Spy On Your Neighbors, Find Out What Their Homes Are Worth”, OR “Get Monthly Updates On What The Homes In Your Neighborhood Sold For” OR “How Much Could You Sell For TODAY? Your Home May Be Worth More (or Less) Thank You Think!” All of those are something that homeowners might actually care about! You have to know that they cannot extrapolate your acronym (CMA) to what it actually does. Final Reason – It makes you look lame. With just a few of the agents in your marketplace offering something better, your little “Get A Free CMA” offer looks worse than doing nothing at all! Now, I am not saying you have spend a fortune or have a fancy gimmick (one of my favorite examples is the agent in Florida who has separated himself from the competition by planting a flat of flowers around his sign posts to make them look less icky on the high end properties he lists). Now this may sound a bit harsh but I am just telling you for your own good! My besty is a real estate agent and it is what I tell her, another besty is an agent too, same song and dance. Having a powerful message and offer that you can explain to potential clients is vital. 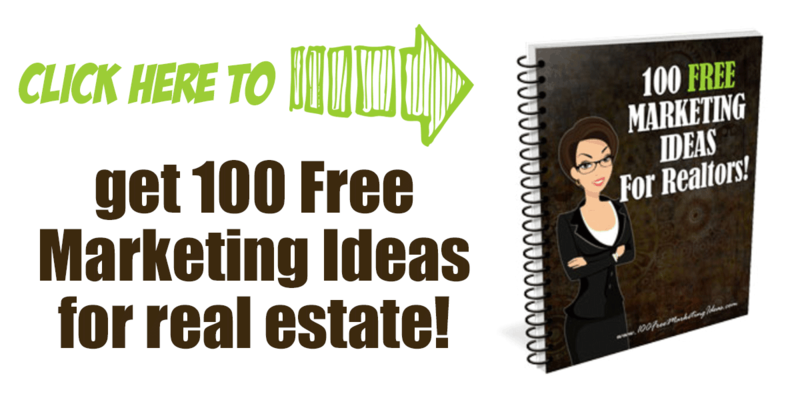 Getting prospective sellers onto your real estate marketing list is vital. Looking like all the other agents out there is the LAST thing you should do! Stop following the pack, stop offering a Free CMA and start doing REAL MARKETING!